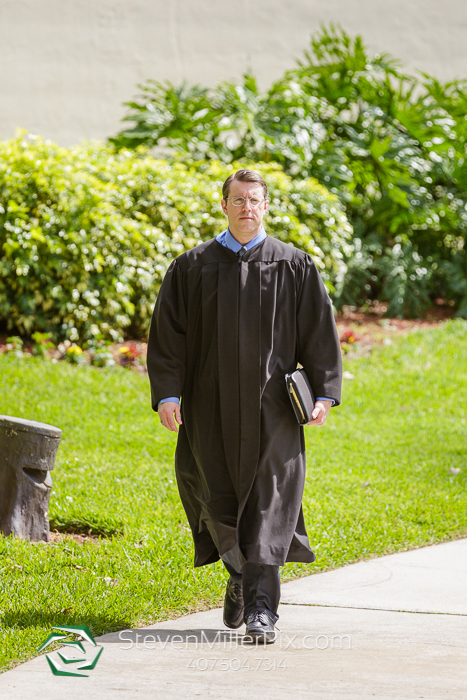 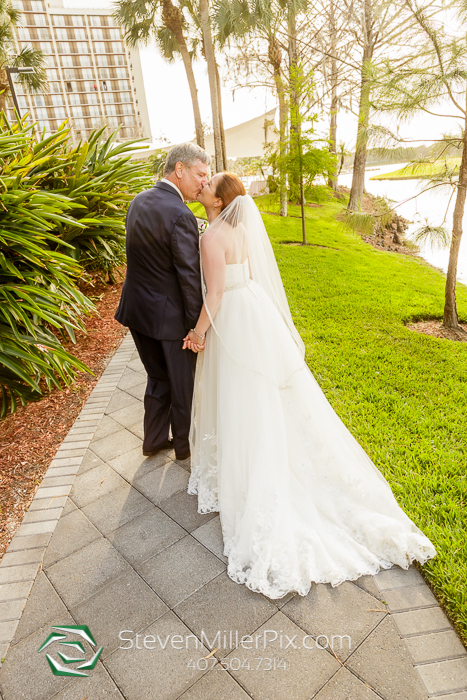 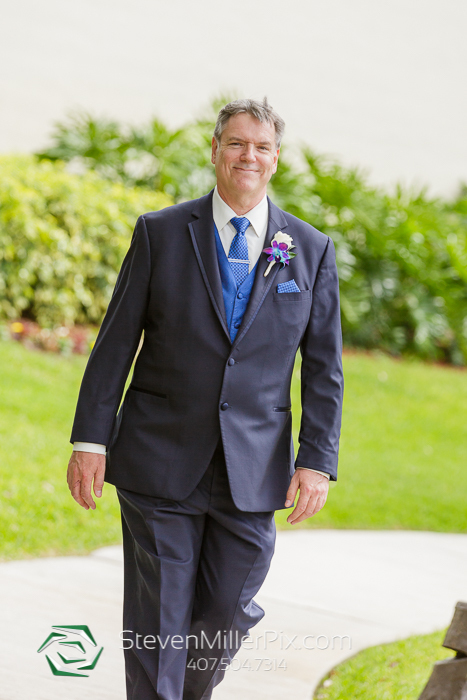 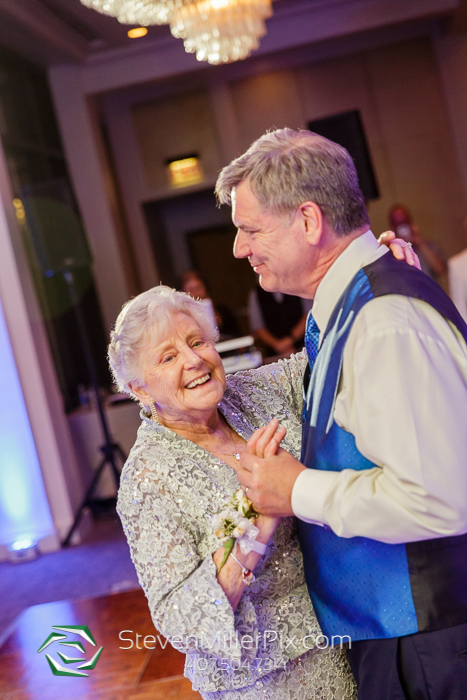 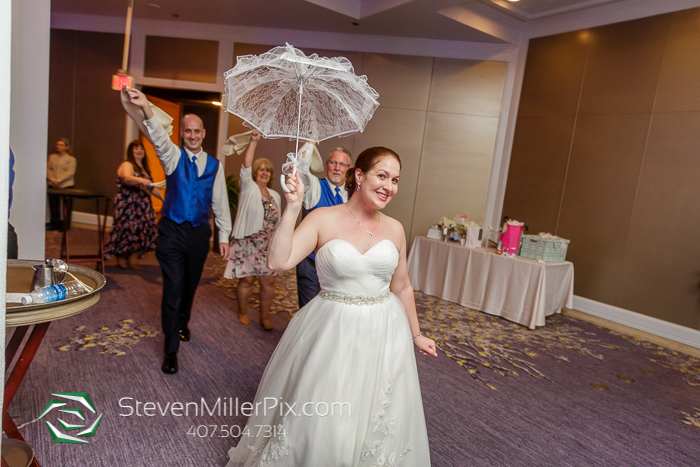 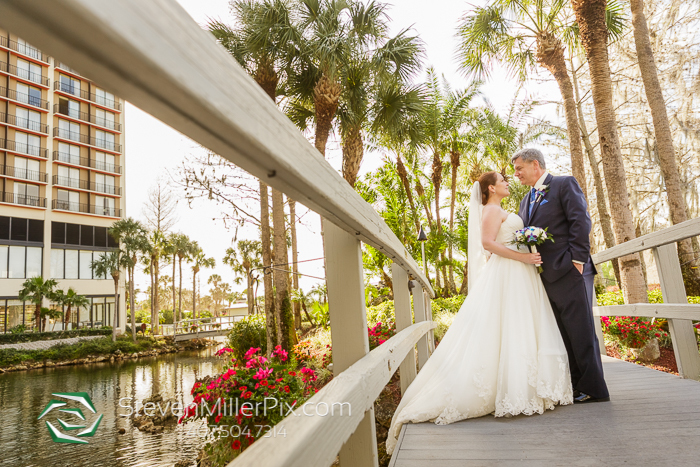 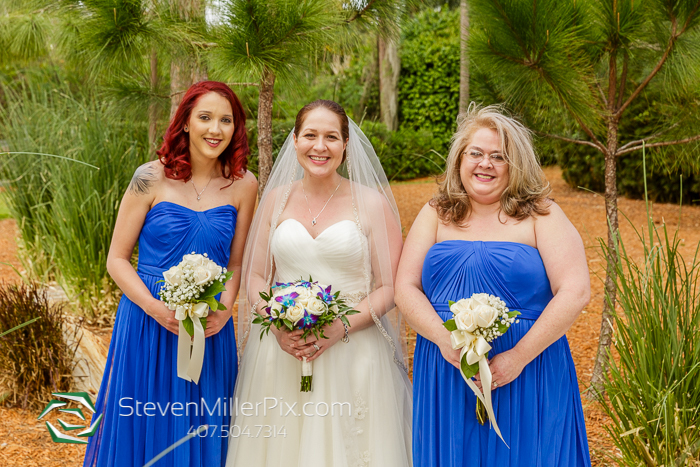 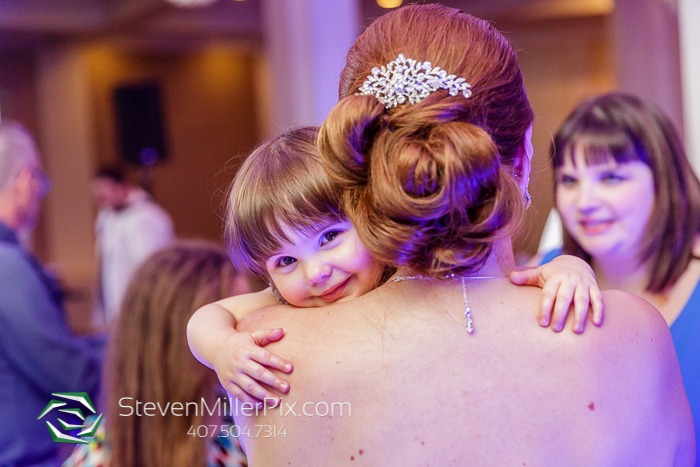 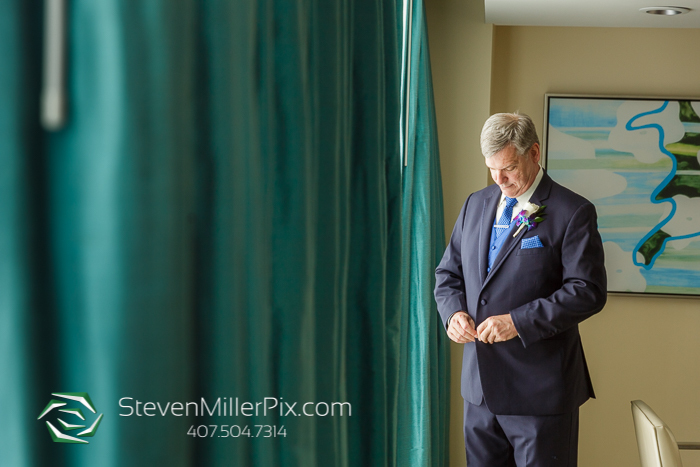 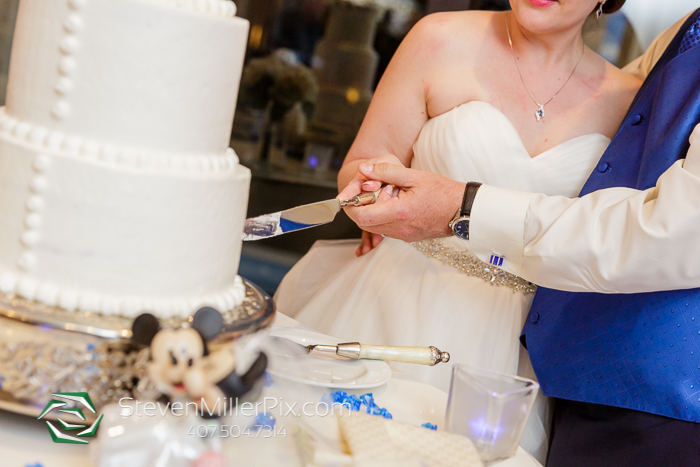 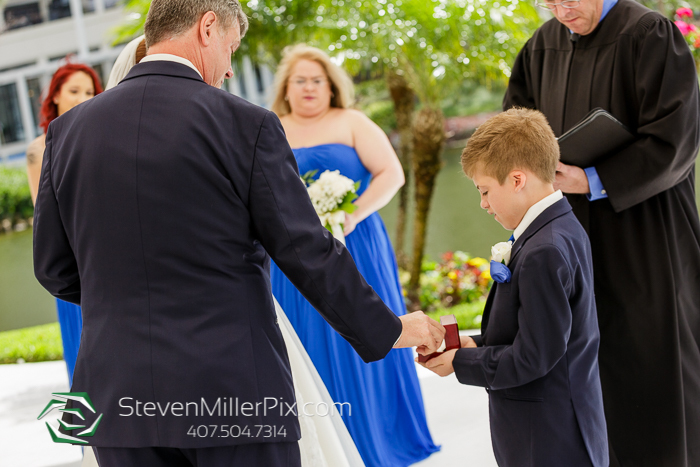 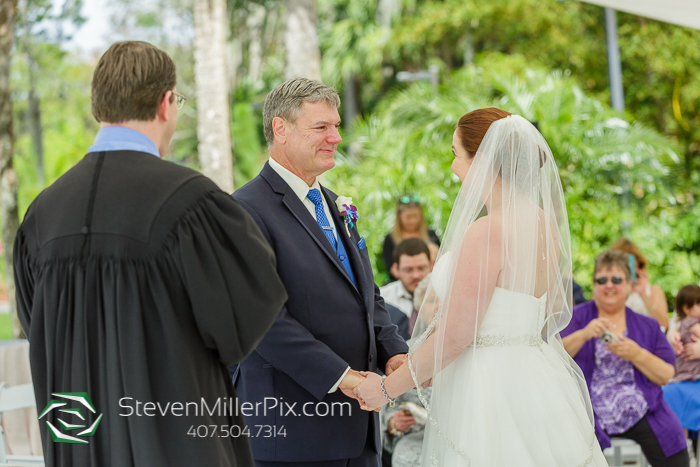 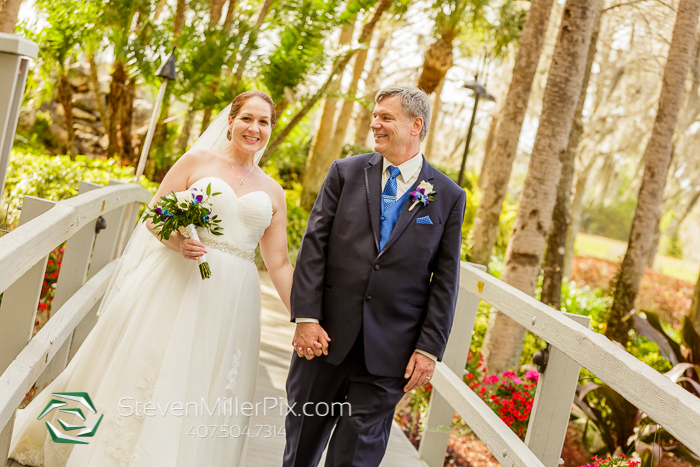 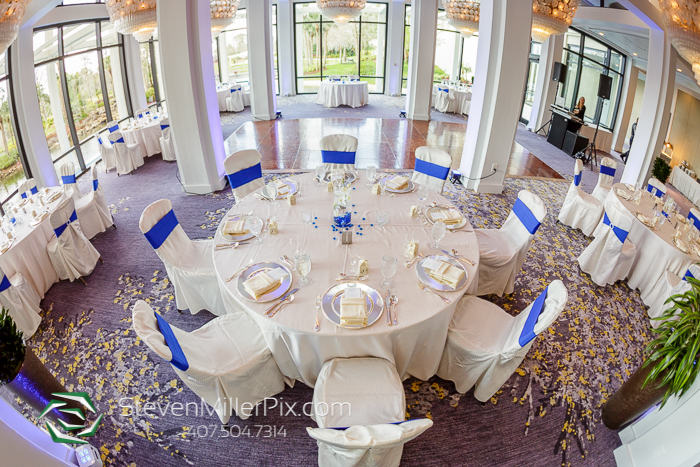 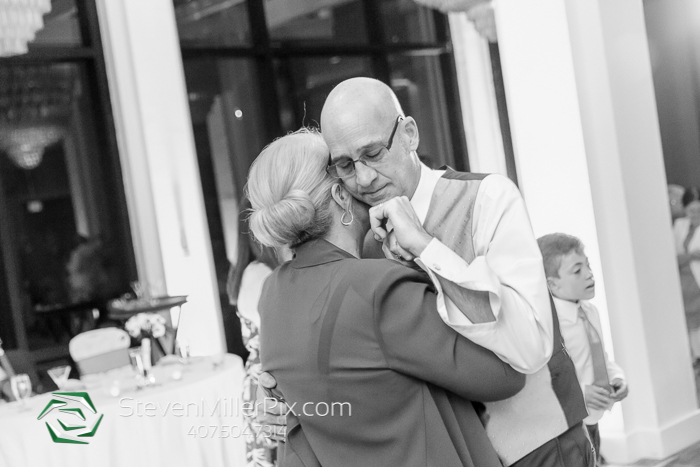 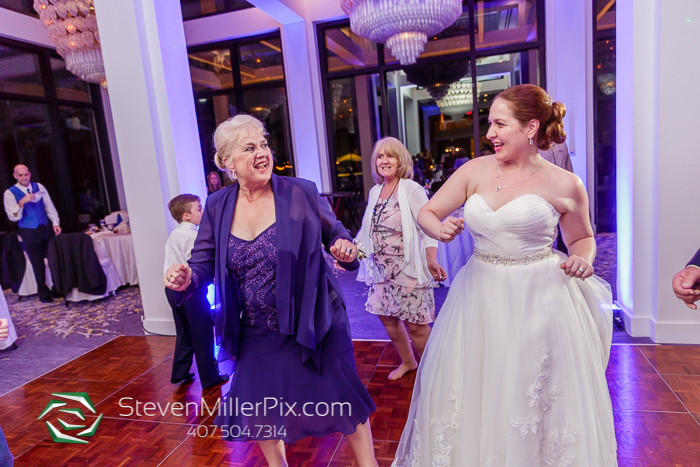 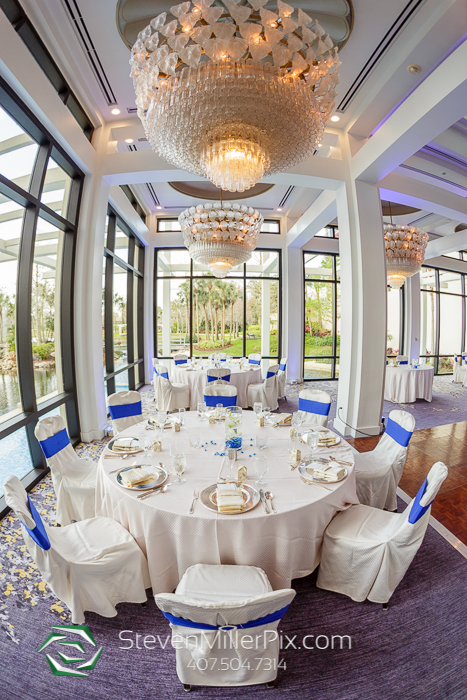 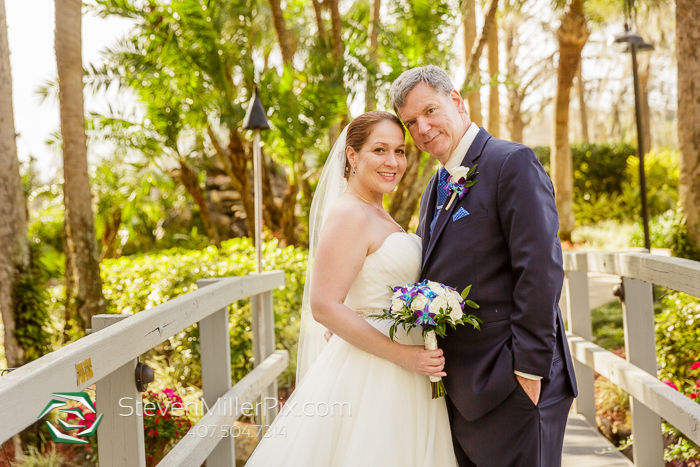 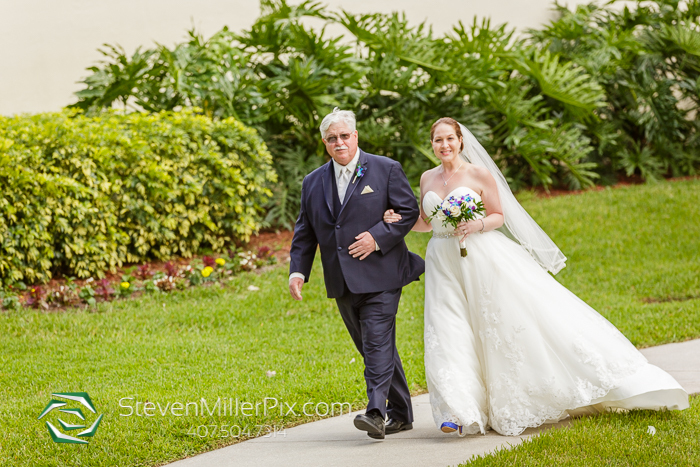 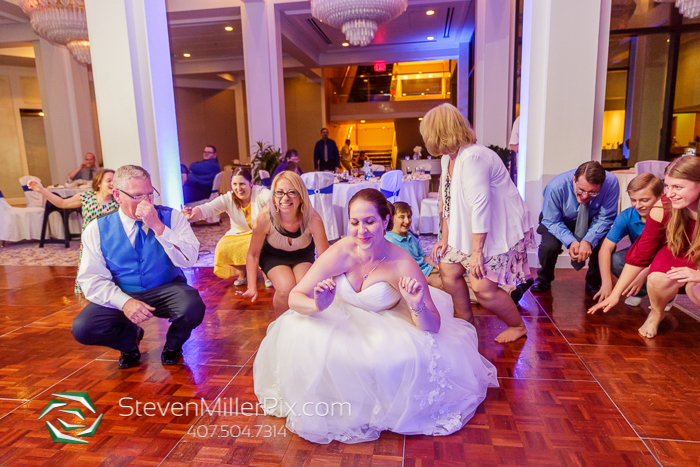 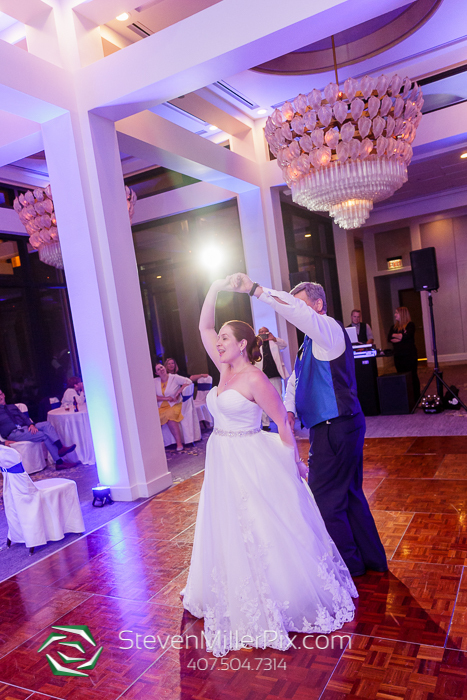 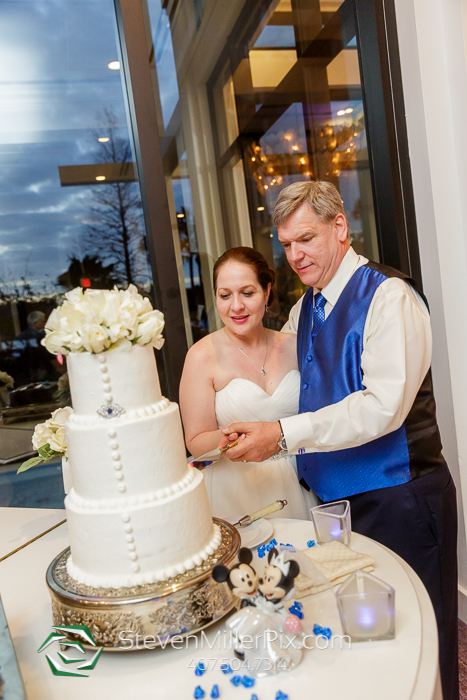 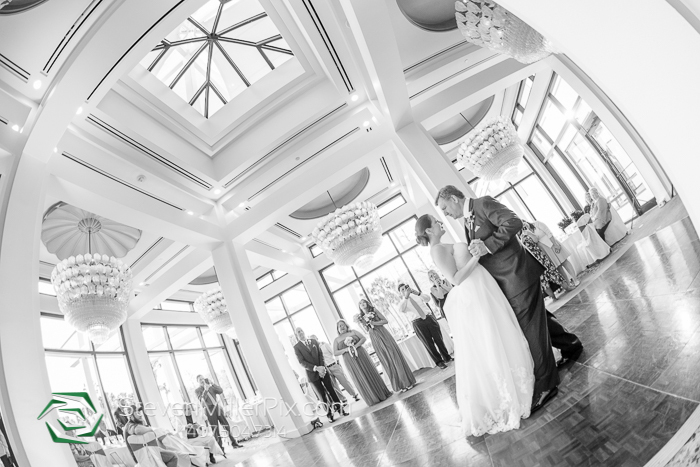 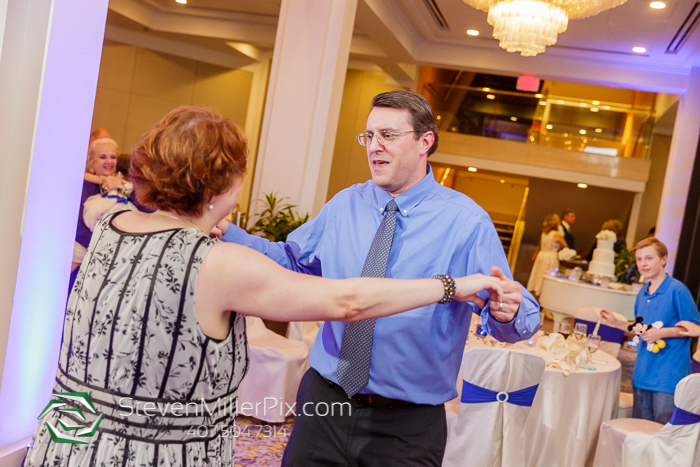 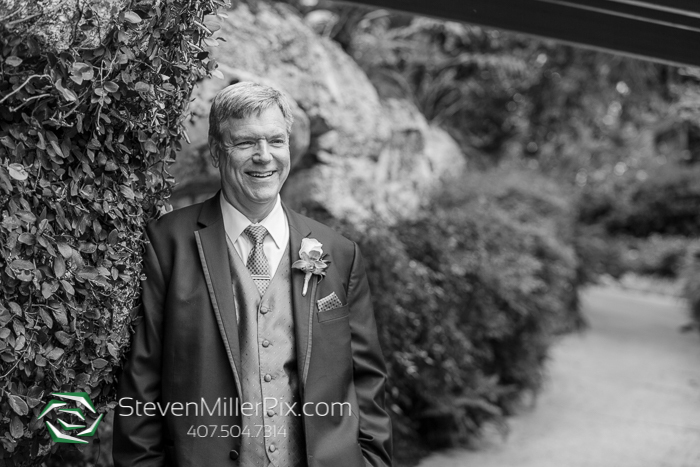 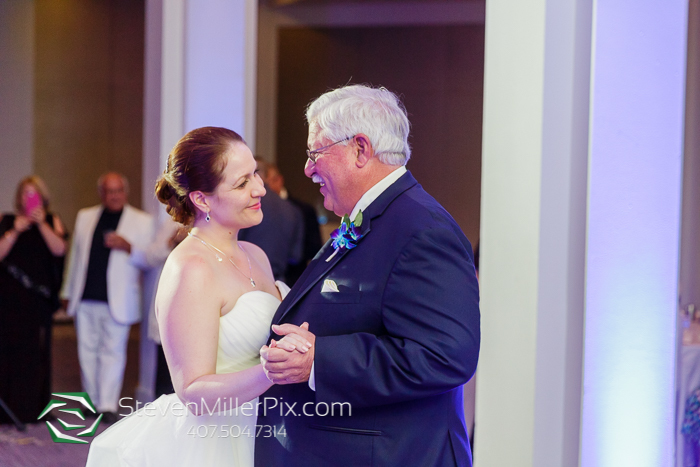 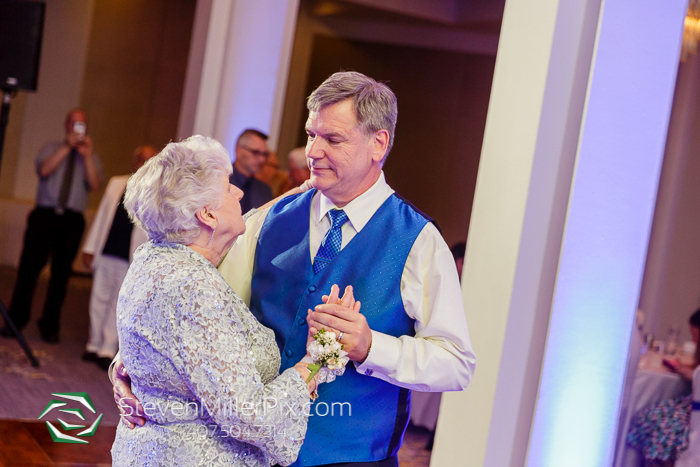 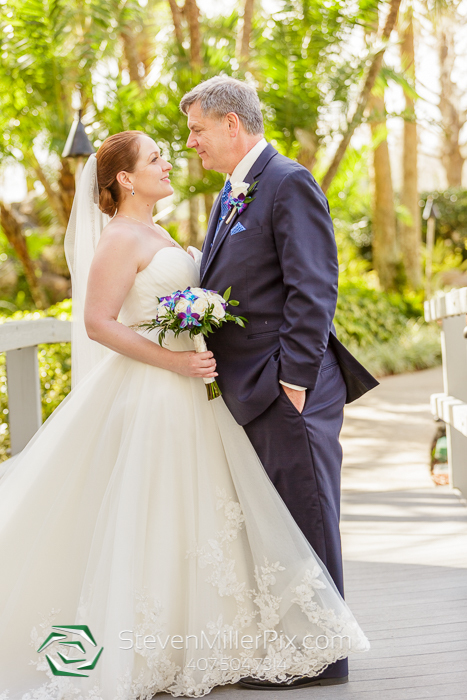 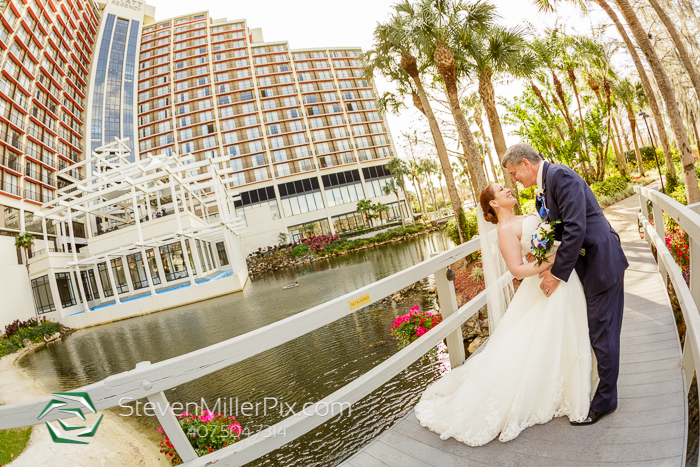 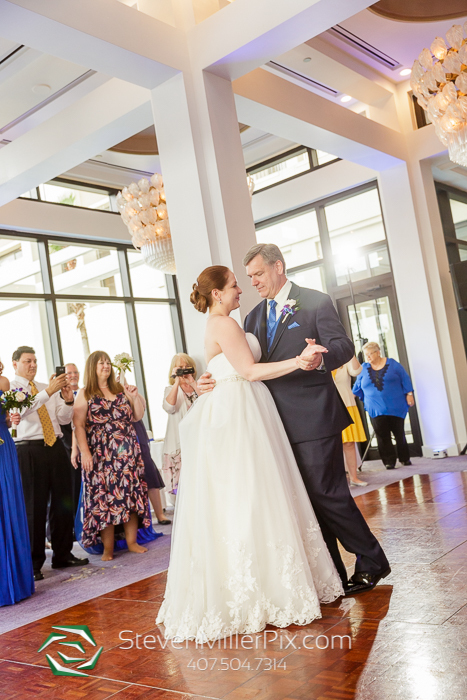 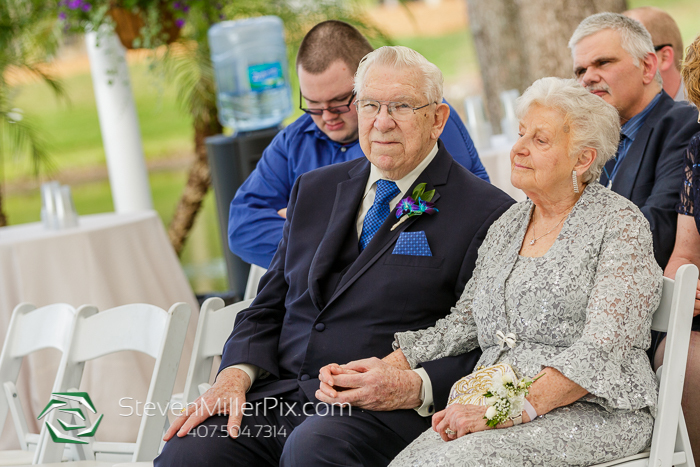 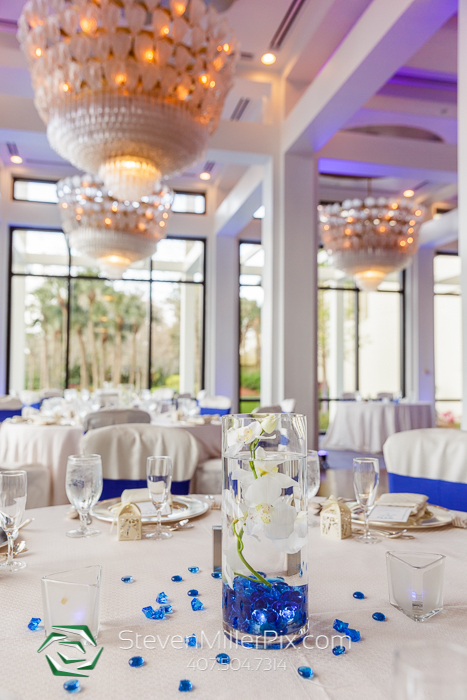 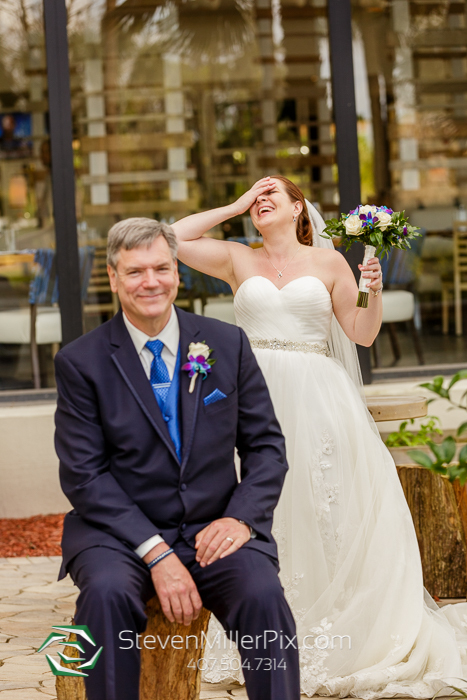 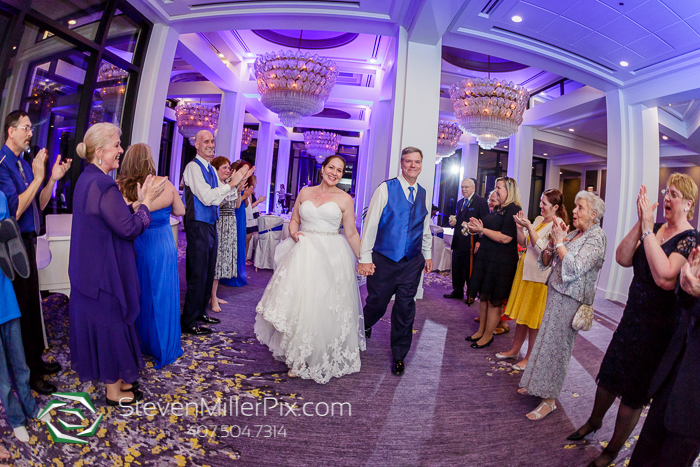 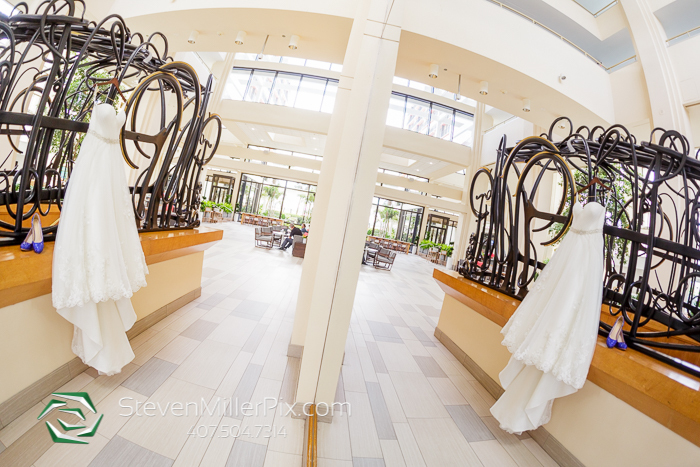 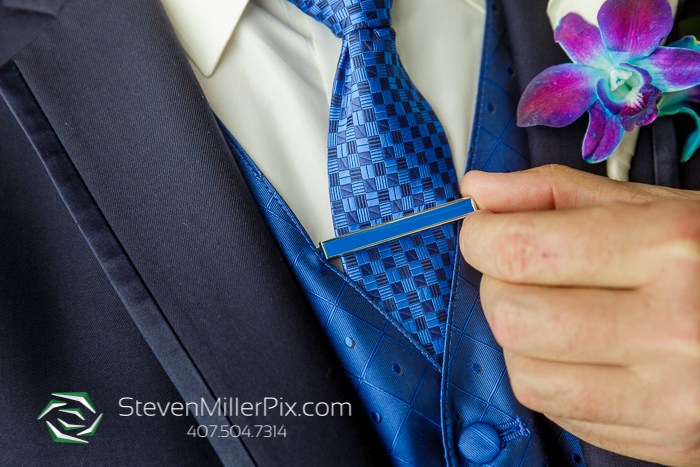 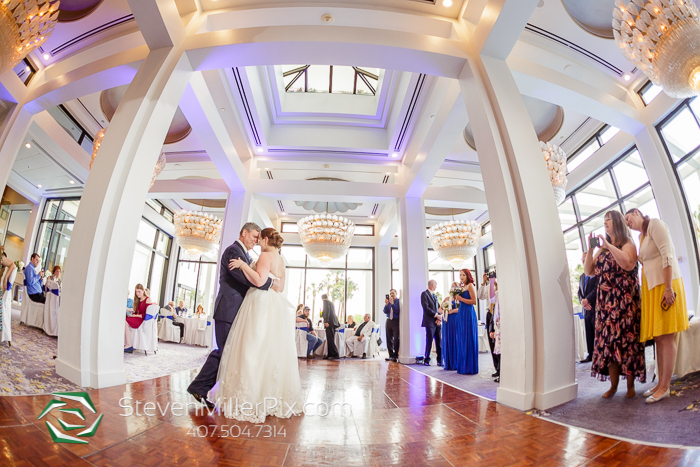 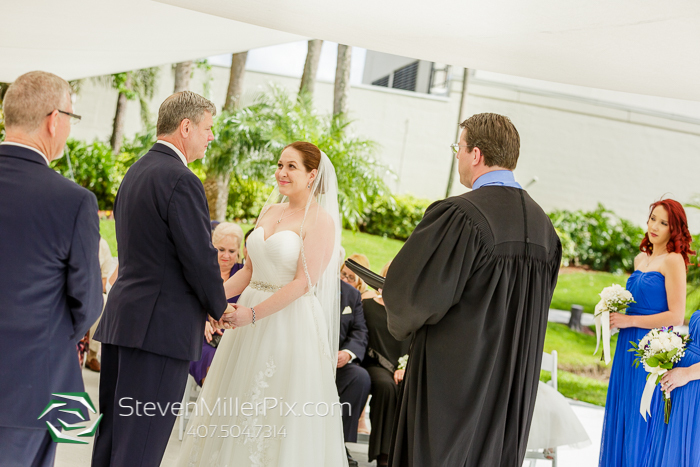 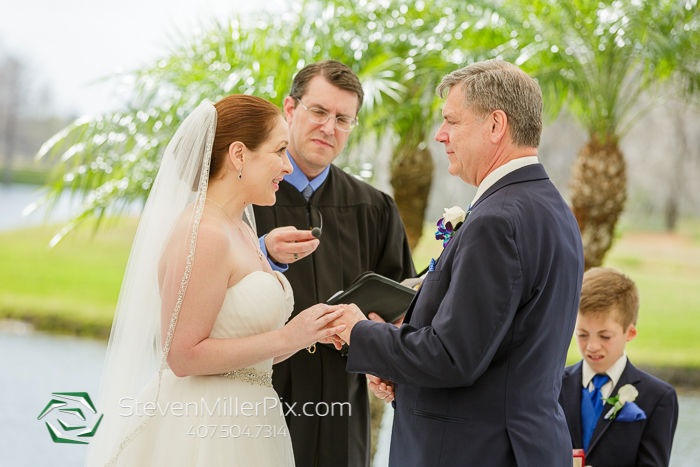 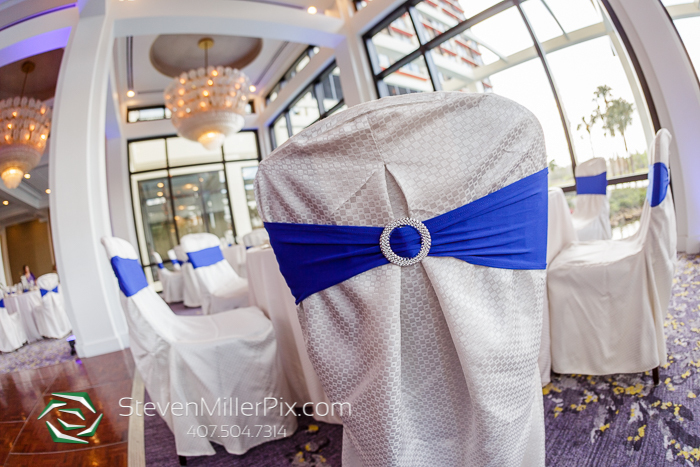 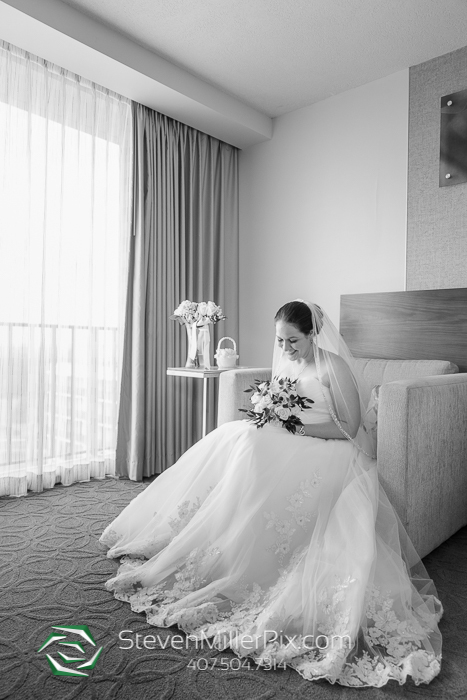 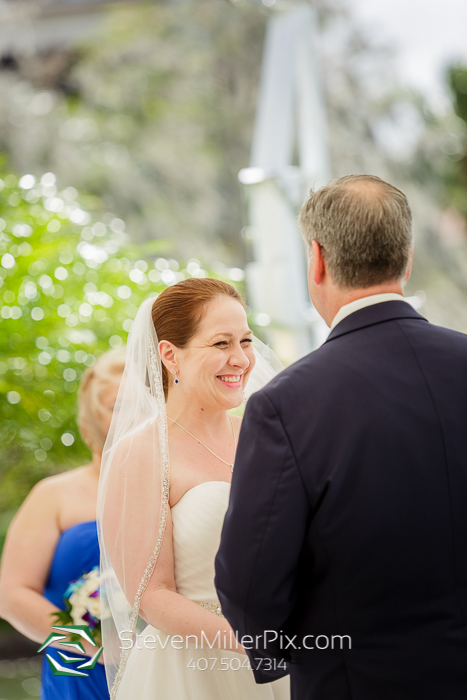 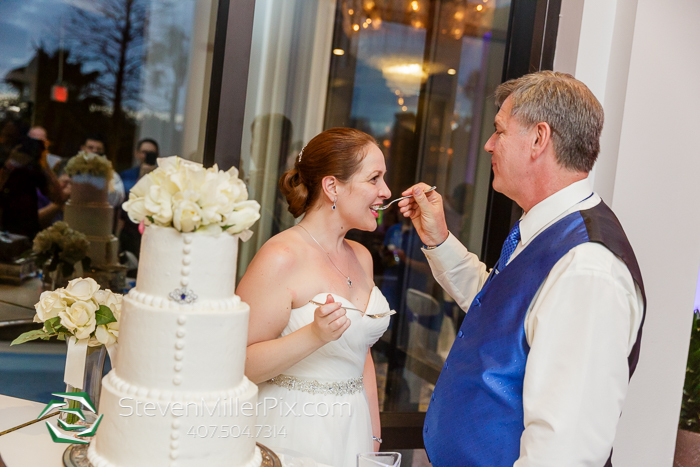 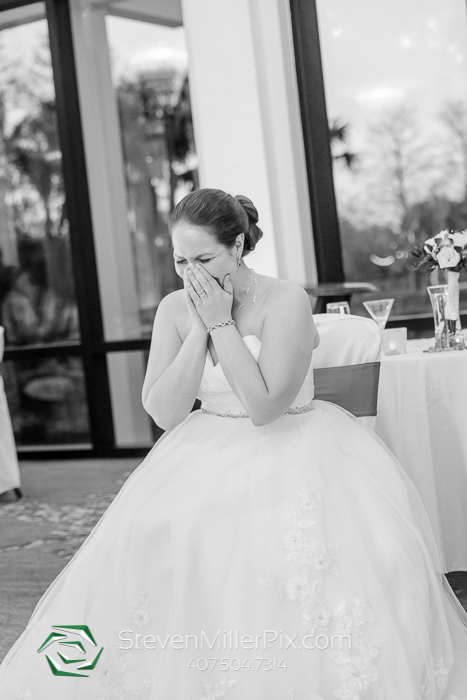 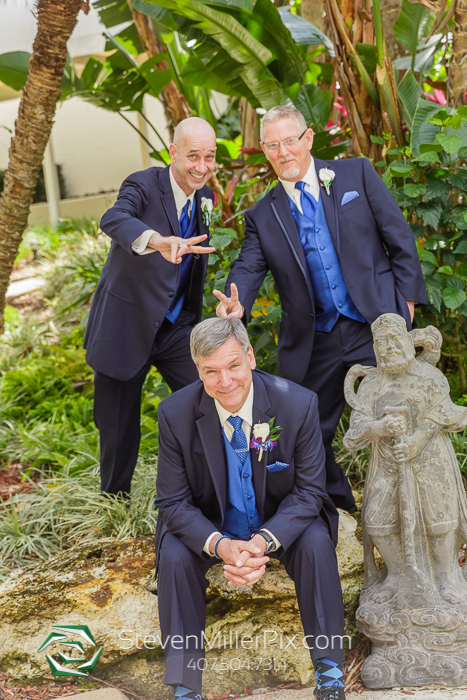 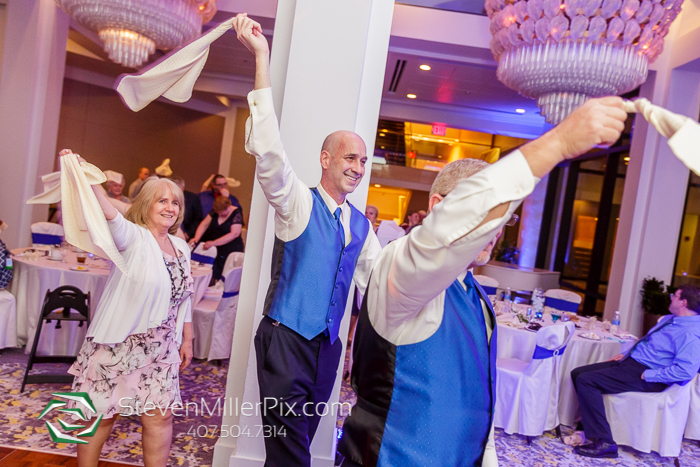 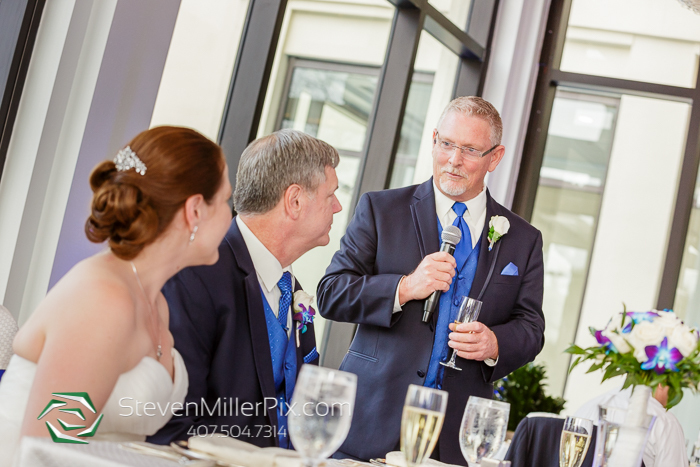 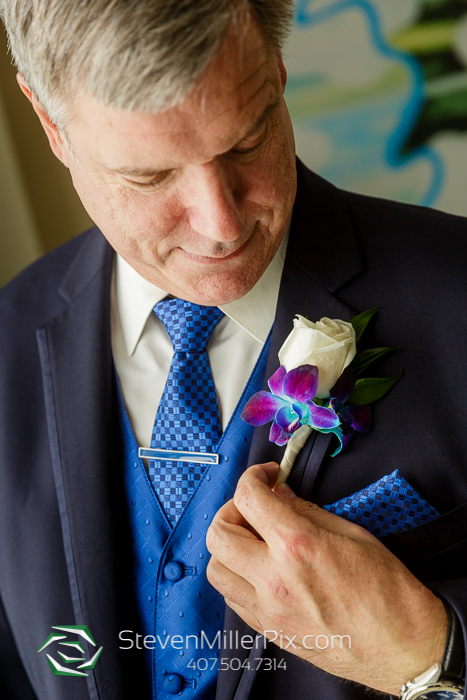 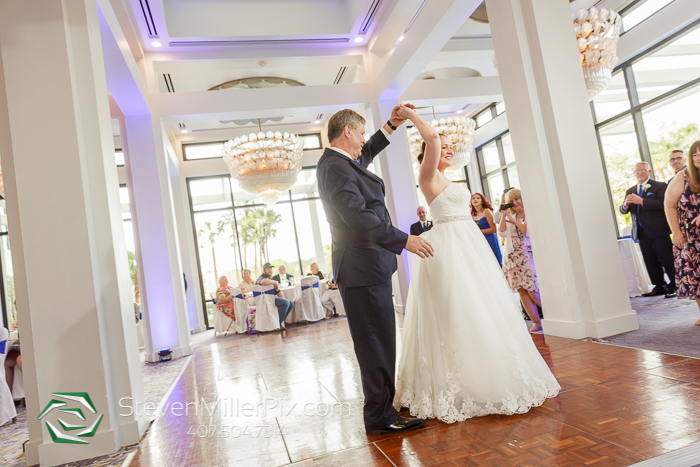 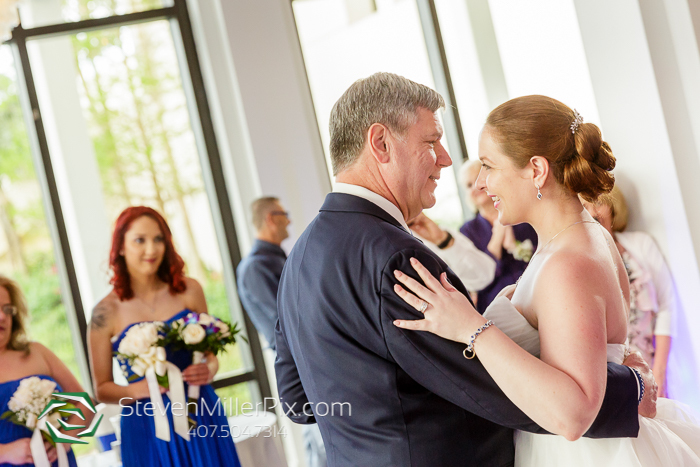 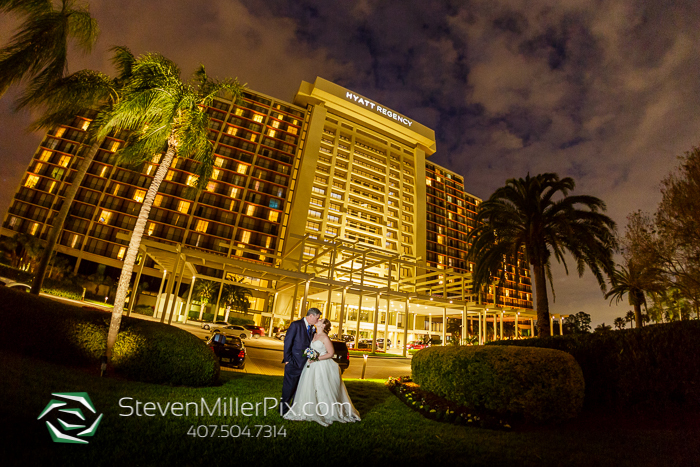 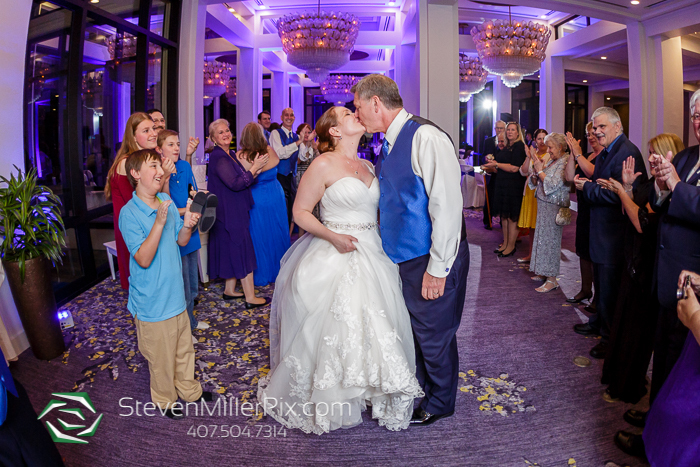 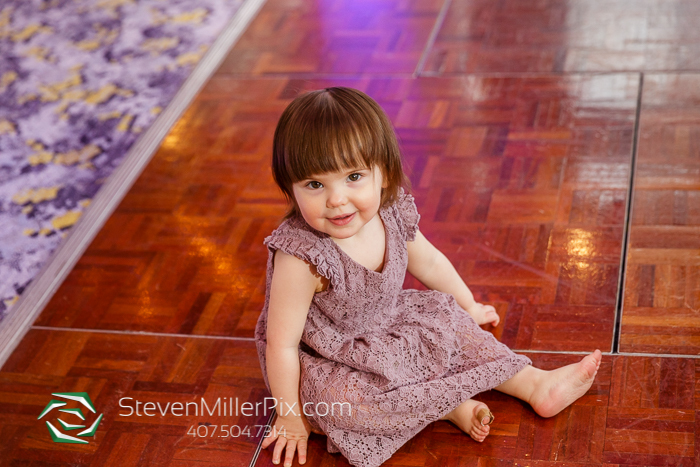 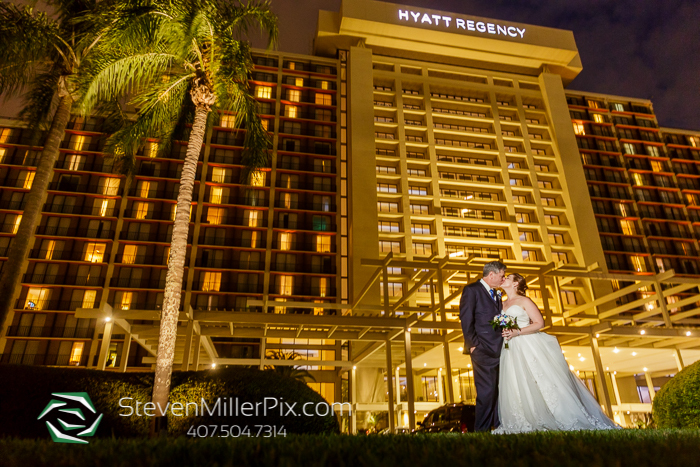 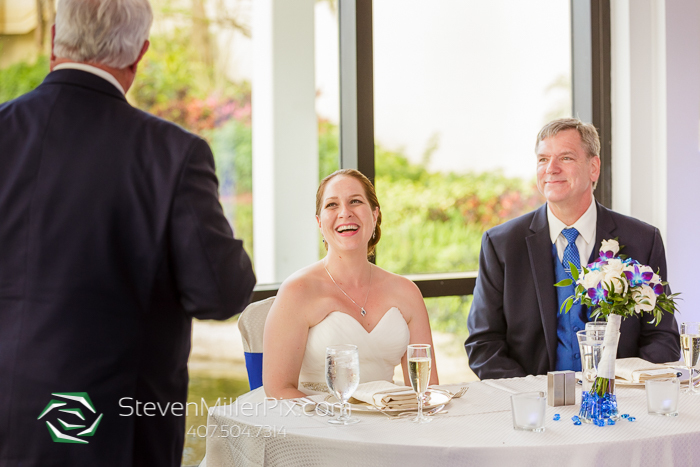 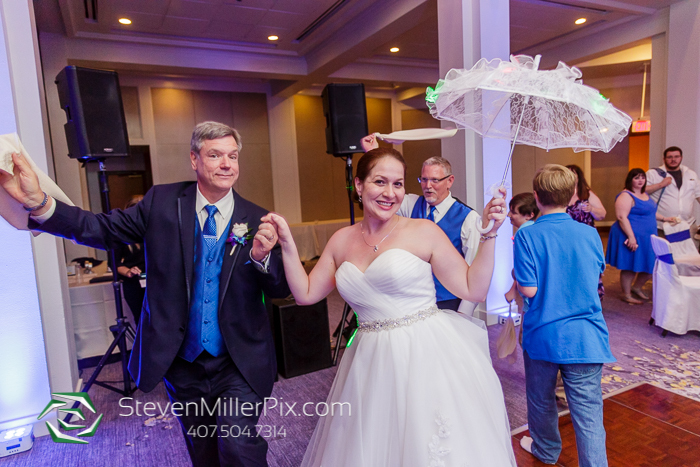 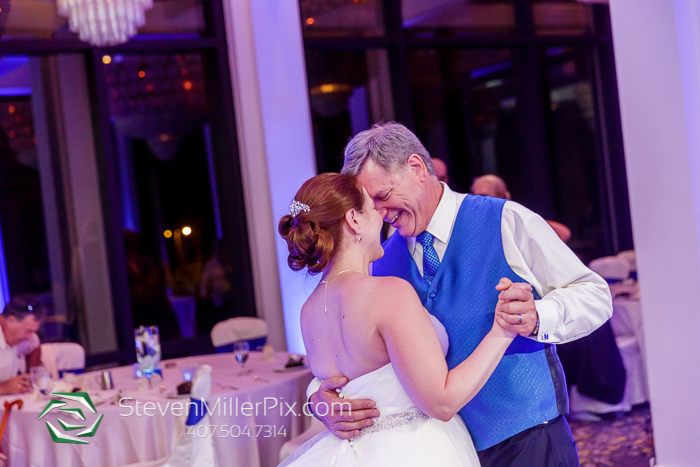 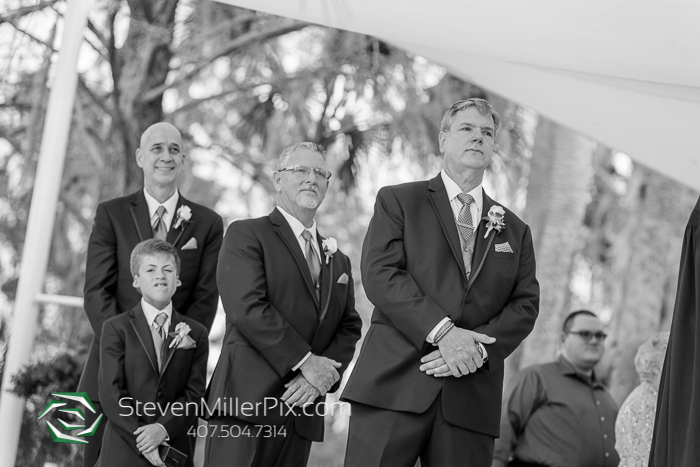 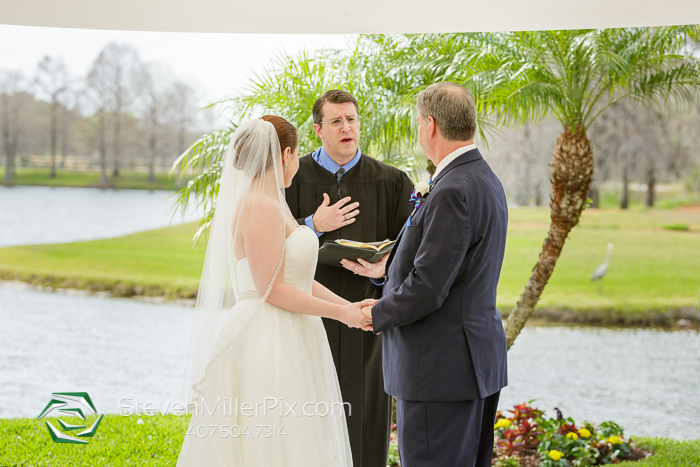 Photographer Steven, assisted by Ryan, had a great time capturing the wedding of Cindy and Bill at the Hyatt Regency Grand Cypress in Orlando, Florida! 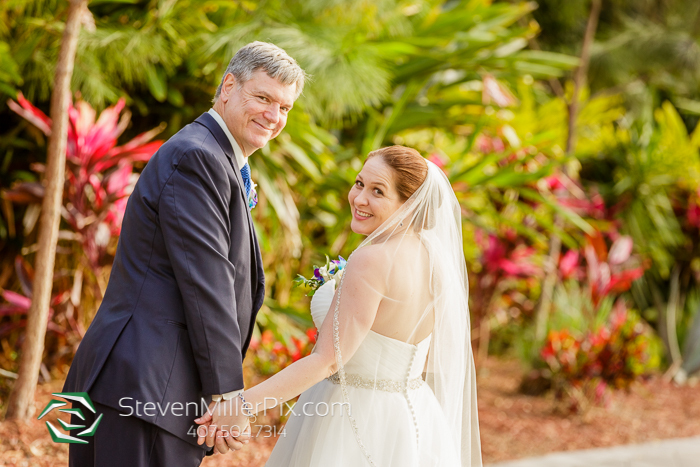 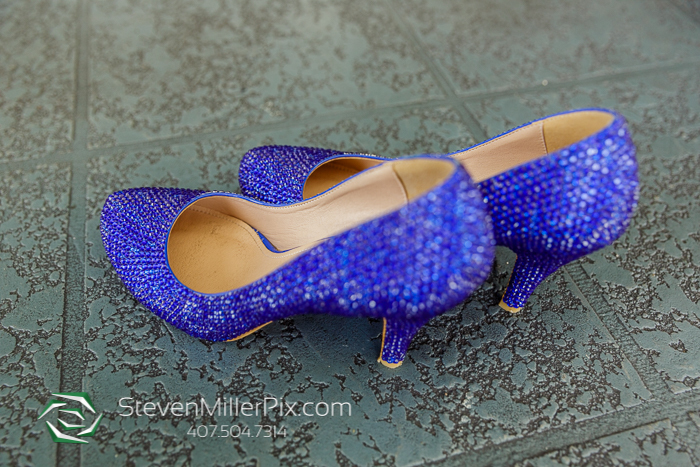 This couple was so much fun to photograph! 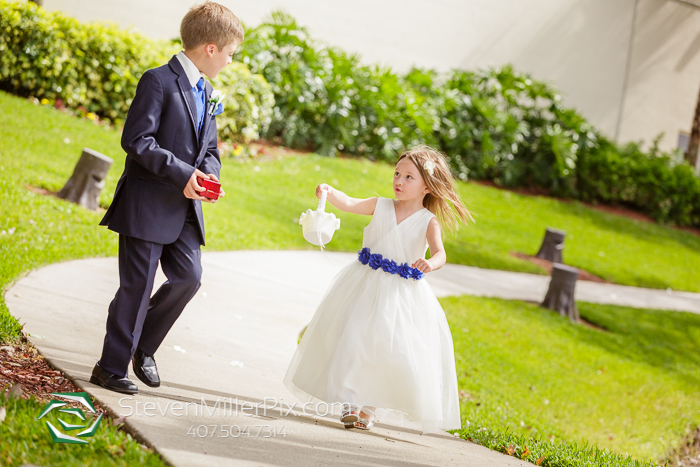 They were naturals in front of the camera, which is evident in their photos! 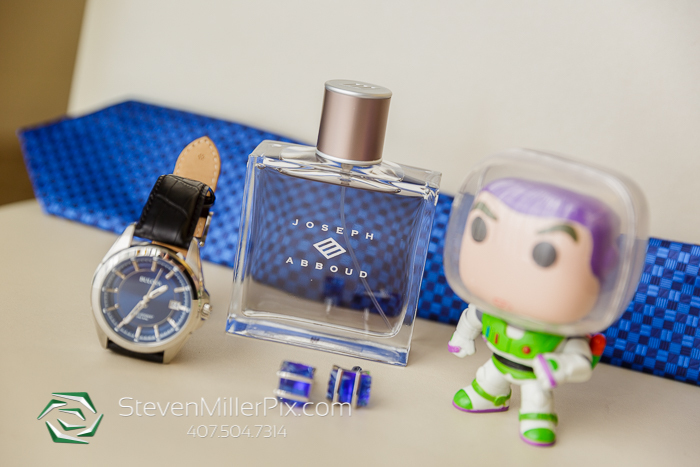 The couple has a personal connection to Buzz Lightyear, so be sure to look for his cameos throughout the photos! 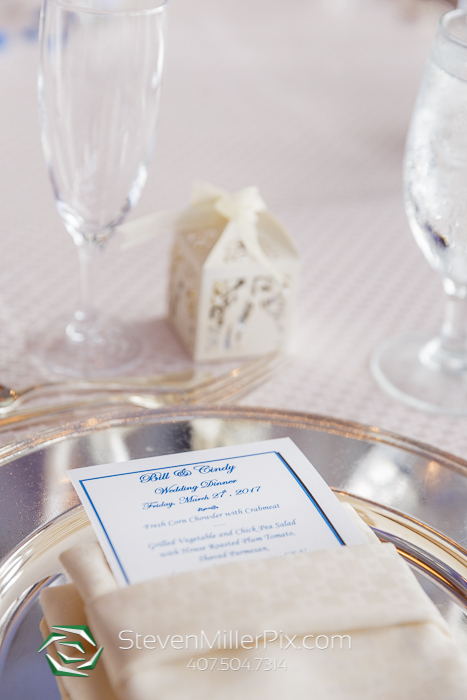 We began the day by capturing the preparations of Cindy! 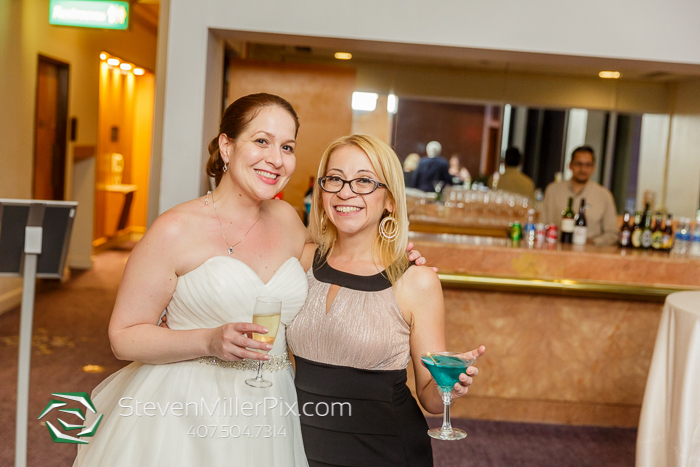 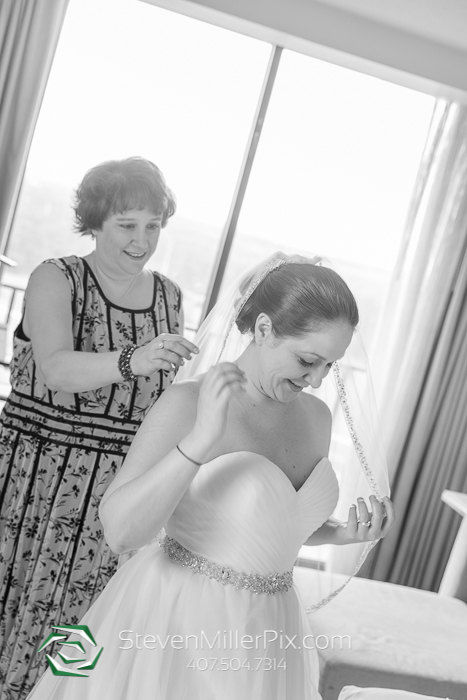 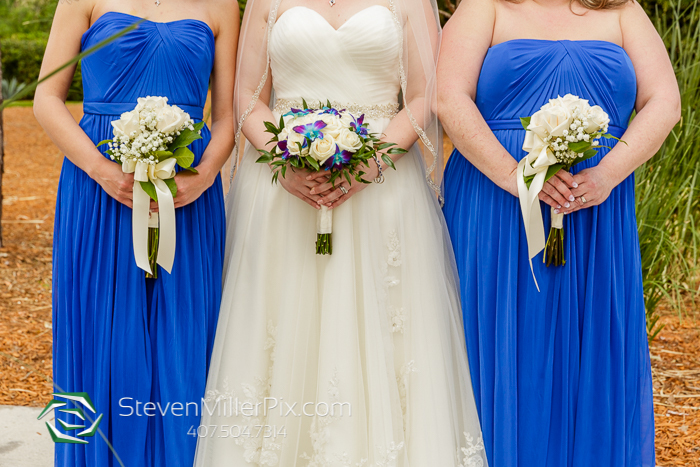 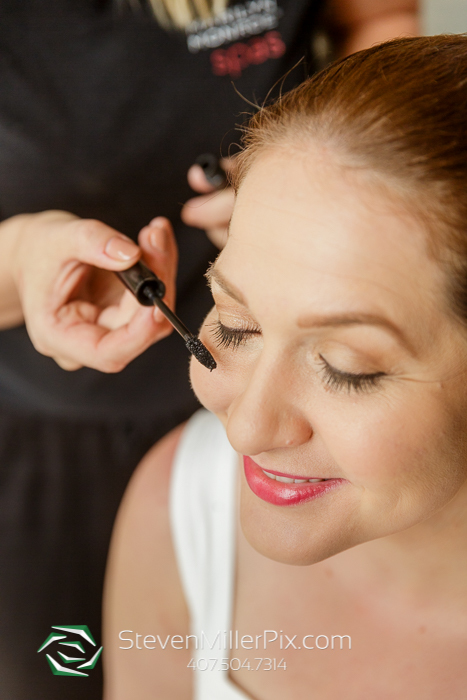 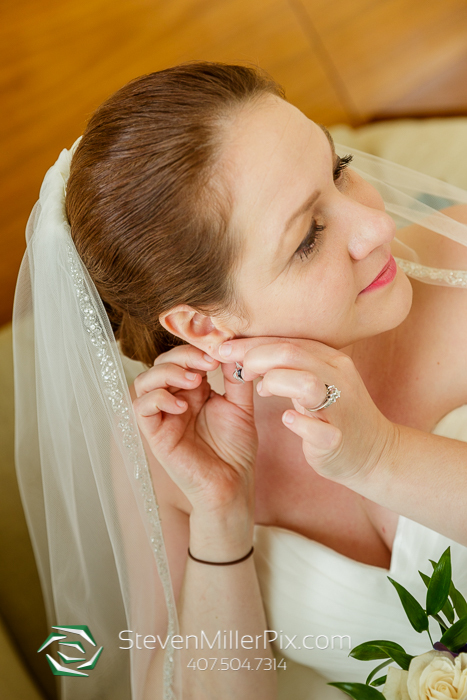 Marlyn Monroe Spa provided the fantastic hair and makeup services that helped Cindy get ready for her big day! 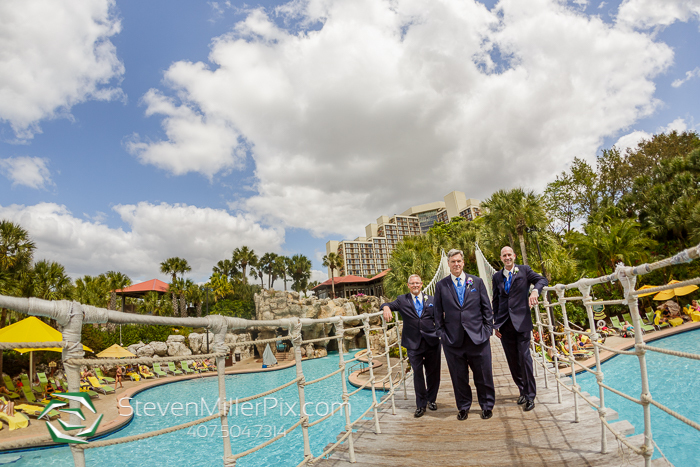 While preparations were finishing up, we took Bill and the guys outside to capture some shots of him and his groomsmen around the property. 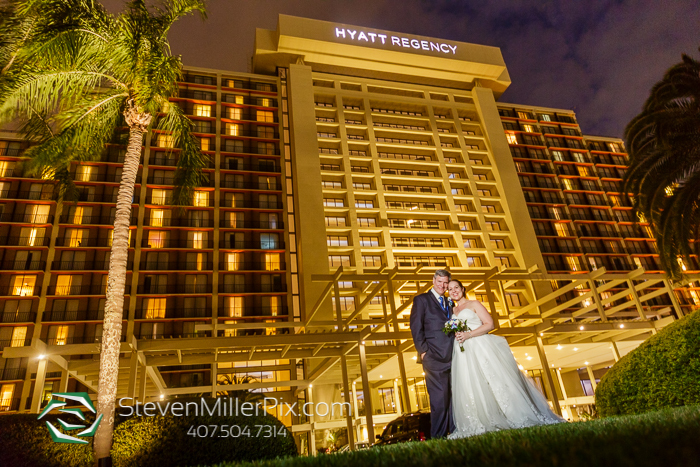 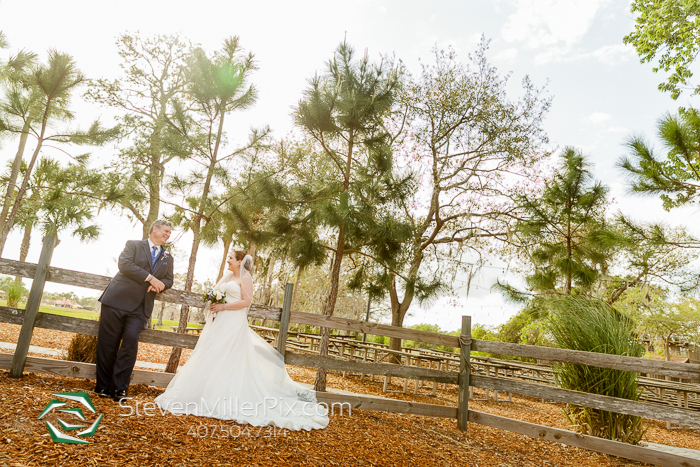 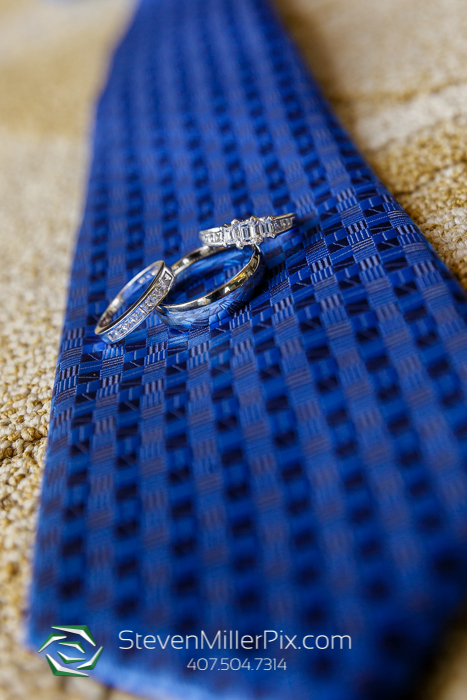 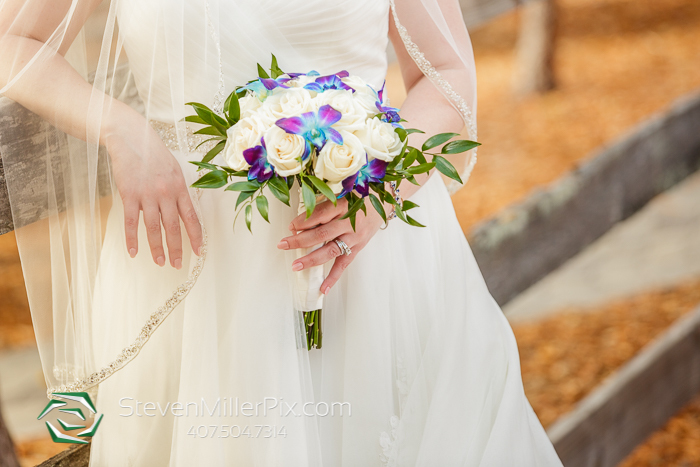 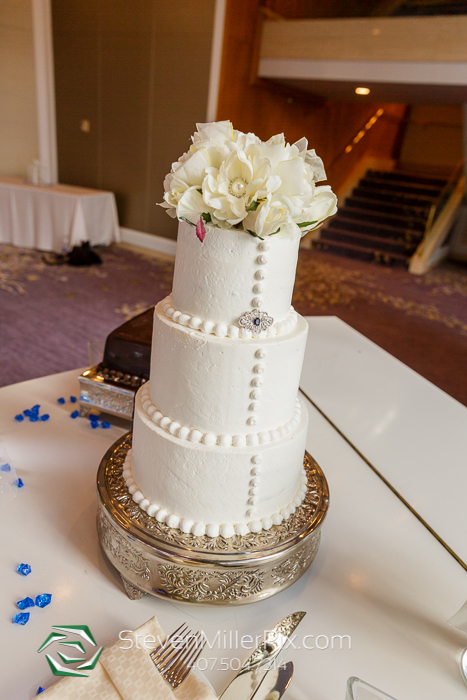 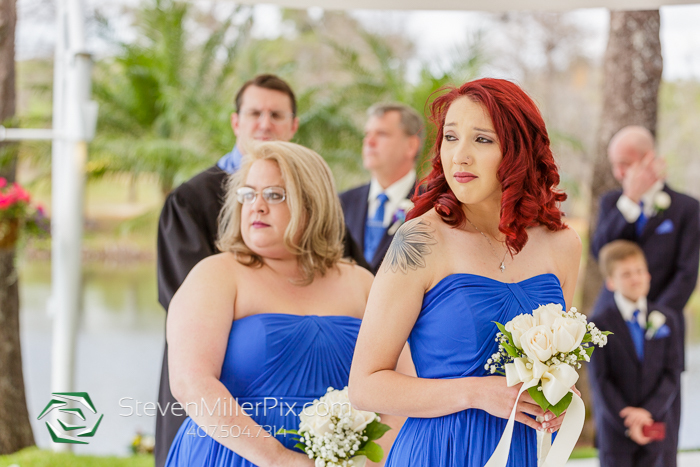 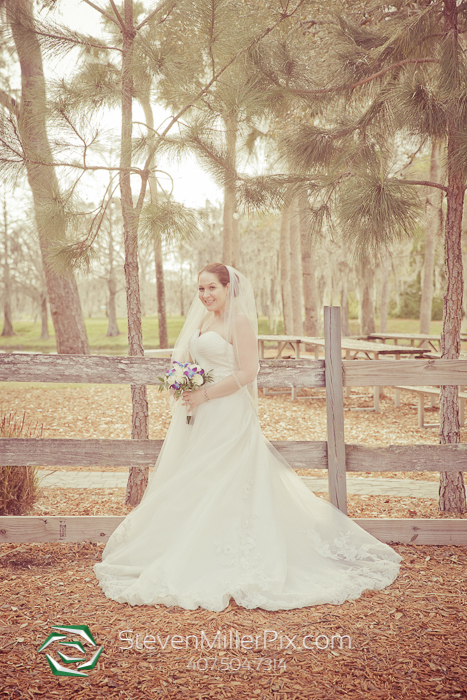 We then headed to the outside ceremony at Cypress Pointe at the Hyatt Regency Grand Cypress! 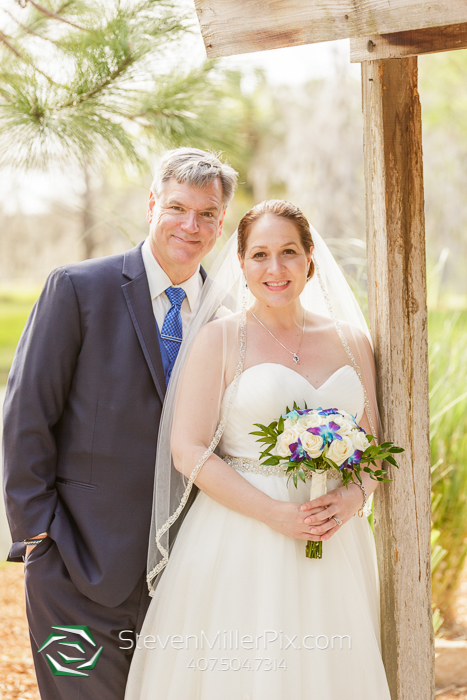 The couple said their “I do’s” surrounded by their closest friends and family! 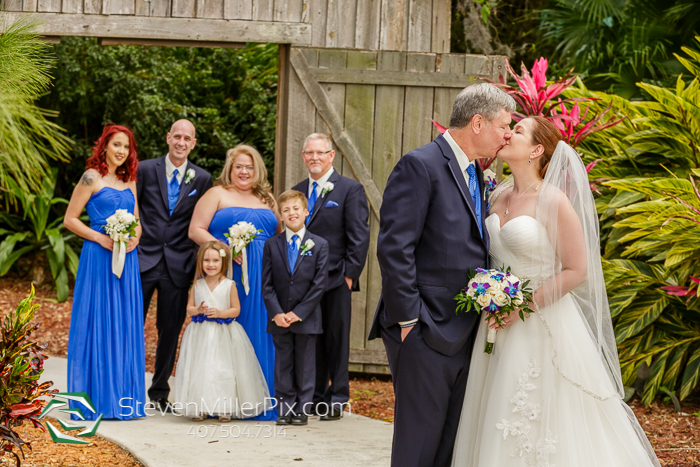 They then sealed the deal with the much anticipated kiss! 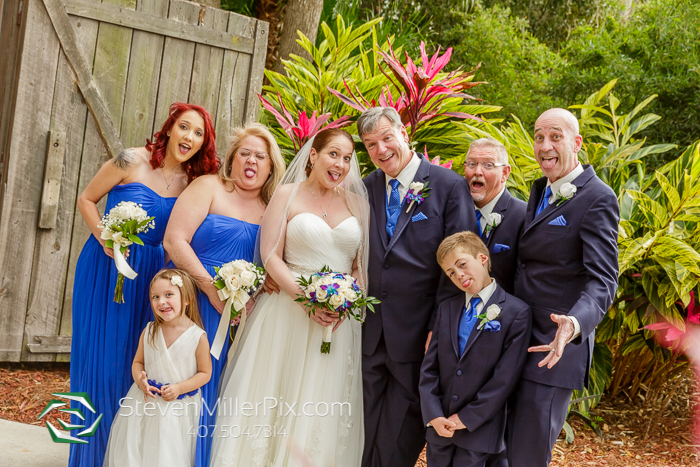 Directly after the ceremony, we took the family portraits and bridal party portraits! 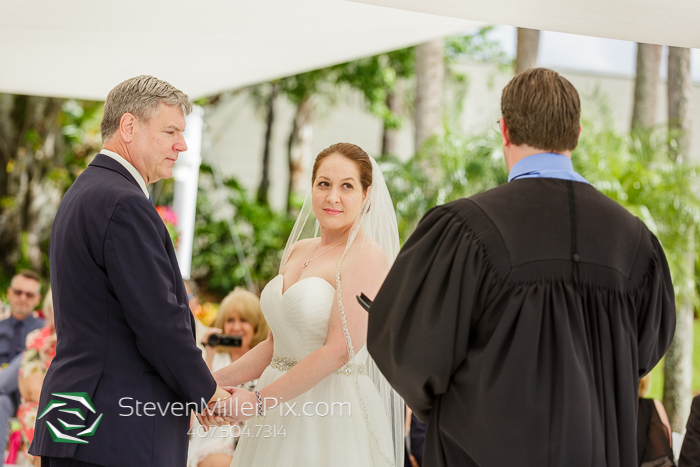 It was then time to focus on just the couple! 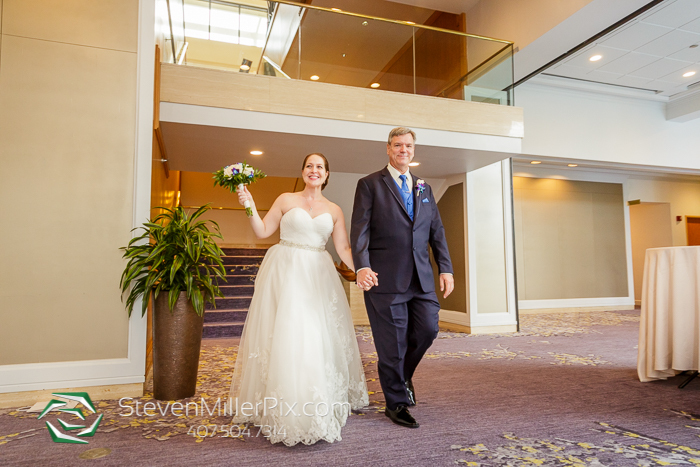 We took sweet photos of the couple in and around the venue! 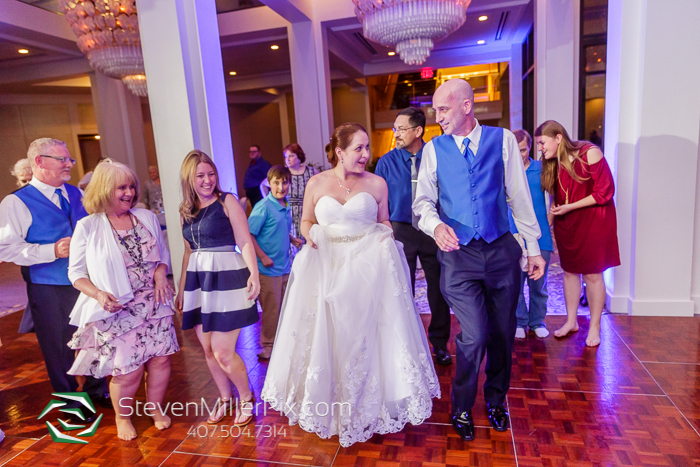 It was then time to head inside to celebrate the couple at the reception! 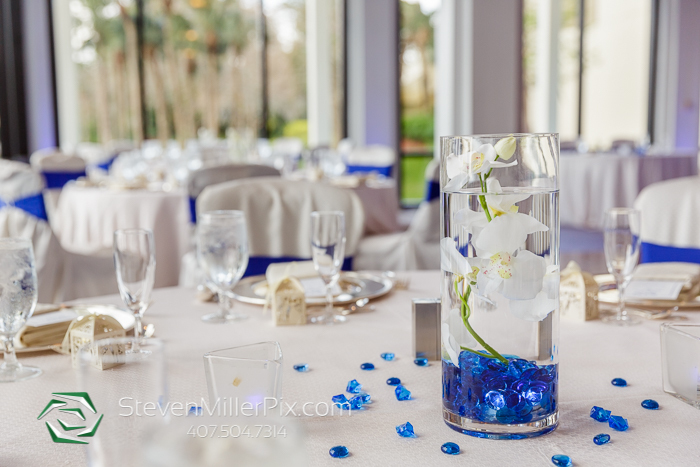 The beautiful flower arrangements were designed by Lowe and Behold Florist! 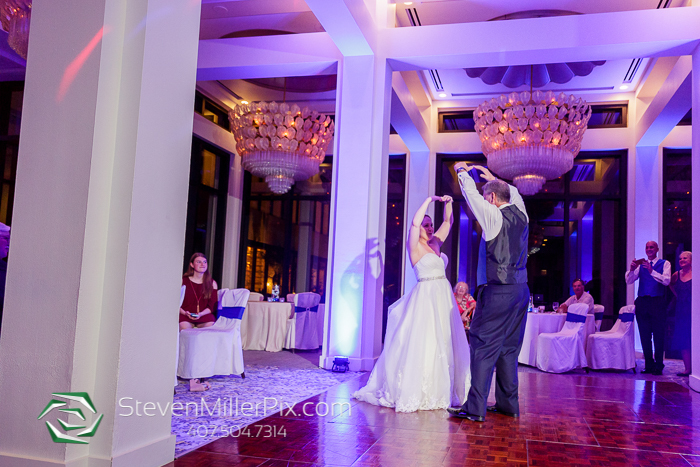 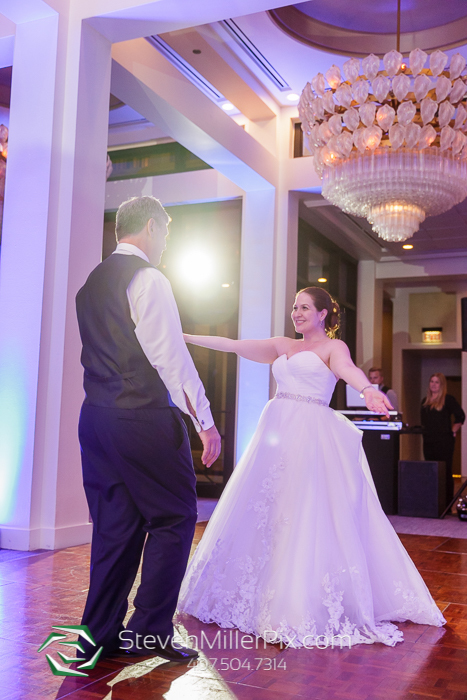 Donovan and Kelsey of White Rose Entertainment did an amazing job with the uplighting and kept everyone on the dance floor all evening with their awesome entertainment! 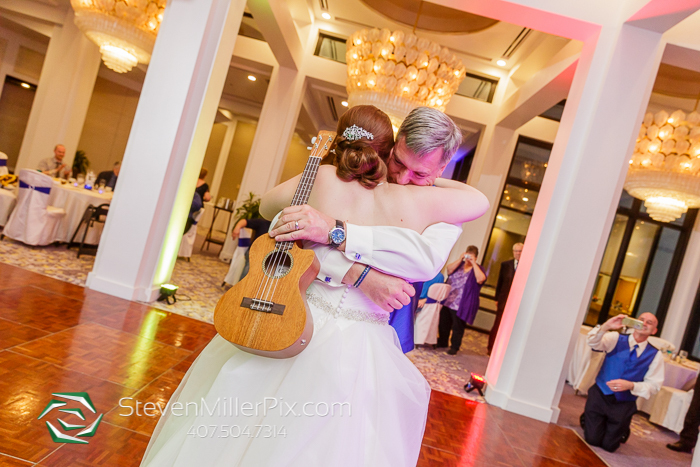 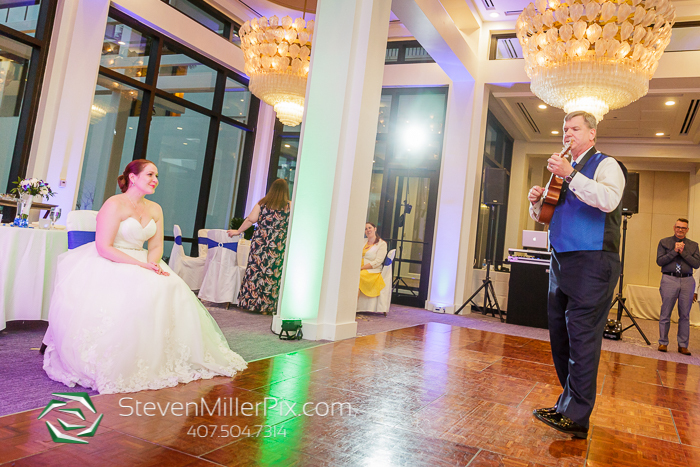 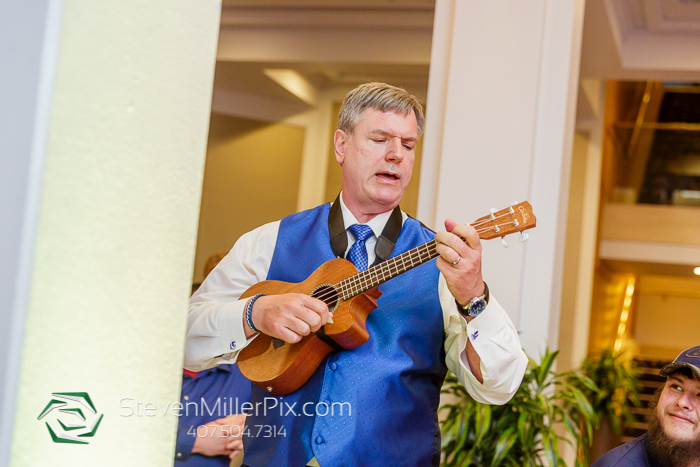 Bill then surprised Cindy with a sweet, personal performance of Over the Rainbow on his Ukulele! 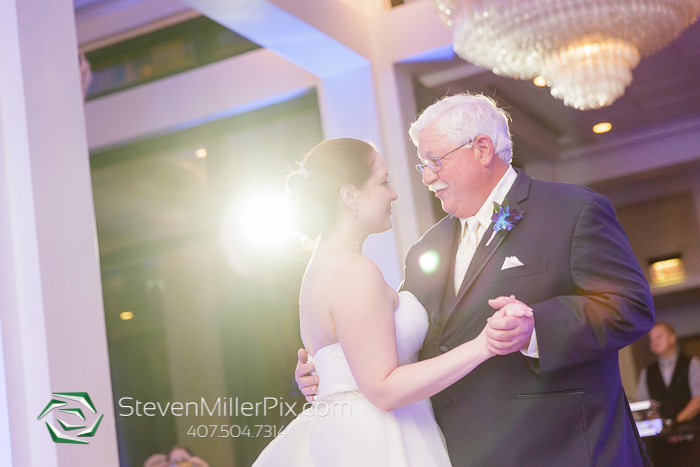 He spent quite a bit of secret time rehearsing for this, and it was all he could do to keep the tears back, so sweet!! 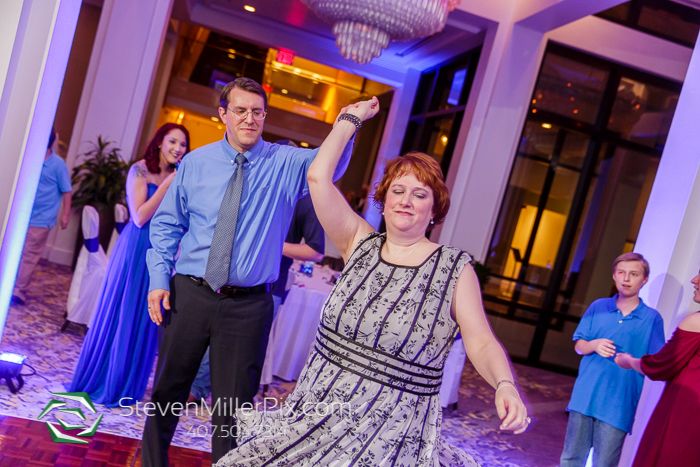 The evening was a blast and we are so glad that we were able to share it with them! 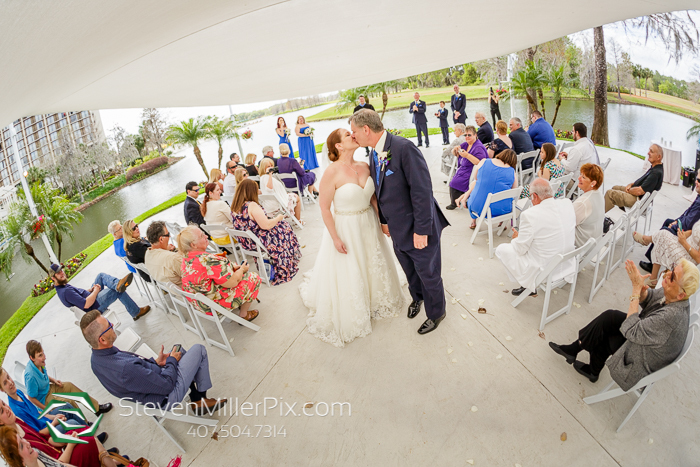 Thanks to Victoria Van Pelt of Just Events for coordinating such an awesome wedding throughout the day! 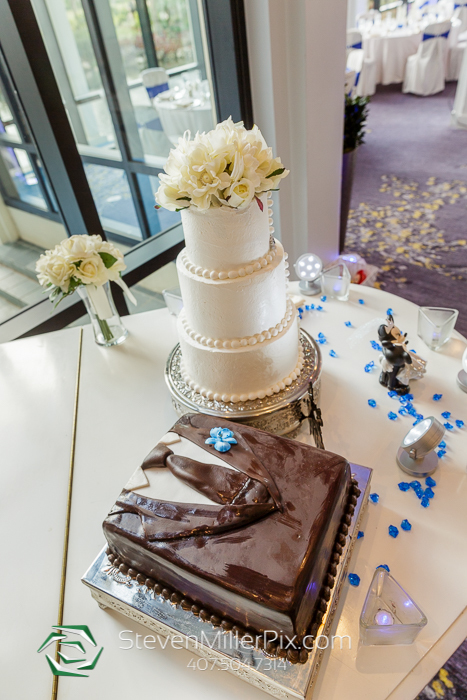 We wish the couple all the best for their future, congratulations Cindy and Bill!